May 2017 - Previous Photograph Competitions - Military Airshows. 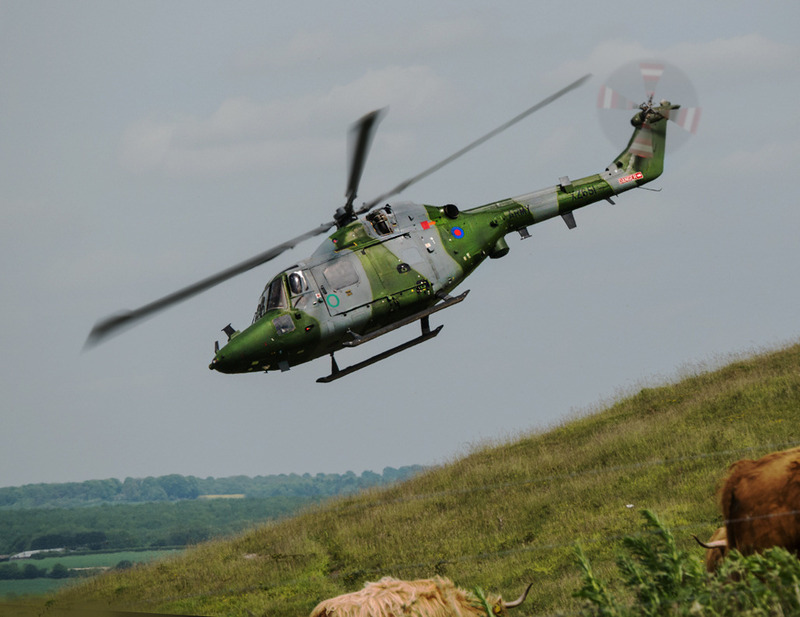 Westland Lynx performing hill landings on Salisbury Plain, and the cattle never even looked up! Panasonic GX7. French Navy Lynx departing RIAT 2009. Taken with a Nikon D50 and Sigma 135-400mm lens. Keith Griffiths Lynx Mk9 landing on the pinnacle during training on Salisbury Plain. Taken with NikonD3500 camera with 200mm lens. Peter Bryant RN Lynx, taken at the Kleine-Brogel 2014 show, with my Canon EOS700D, and 70-300 IS USM lens. Westland Lynx HMA.8DAS, XZ726, 815 HQ Flight, HMS Manchester, photographed at RAF Waddington, 4th July 2009.